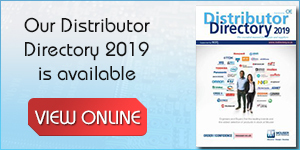 Lane Electronics is a franchised assembling distributor and/or stockist for many leading connector manufacturers including Souriau, Positronics, Huber & Suhner, Neutrik, Pancon, Polamco, Glenair, Nicomatic, Hellermann Tyton and on site military connector manufacturer Weald Electronics. Along with CECC, AS9120, BS9000, ISO and QPL approvals, Lane has a policy of stocking military and industrial circular and rectangular connectors including coaxial, MIL-DTL-38999, MIL-C-26482, Fibre, Data, High Power and D types. In addition Lane can offer a full range of Huber+Suhner Test and Measurement leads, microwave cables and adaptors. Lane can also provide military style RFI Filter connectors from Weald Electronics. We have no Minimum Order quantity or value on stocked items!